Goals. I have set so many this year and it has felt awesome. Starting a blog has given me no other choice. Tom’s work schedule has changed so many times I am quite literally incapable of having a job outside of the house and homeschooling. At first this caused me a great amount of stress. Then, the more I thought about it, the more I realized these changes meant I had no choice but to put all my energy and focus into making my blog succeed. Like a lot of “creative” types, I tend to be scatter brained by nature. Slowly, step by step, I have improved my bouncy brained personality and it has paid off huge. If you want to see some of the tools I used to help keep myself on track, meet my goals and make my dream of full time blogging come true, read on. I’m fully confident that these same tools can help you organize your life just in time for the new year. Even though that shouldn’t stop you from setting goals all year long! *This post contains affiliate links. For more information see my disclosures. Since I started blogging, Abby from Just a Girl and Her Blog has been my blogging guru. If you are a fellow blogger or have ever considered blogging, I highly recommend checking out her incredibly easy step by step blogging guide, Building a Framework. 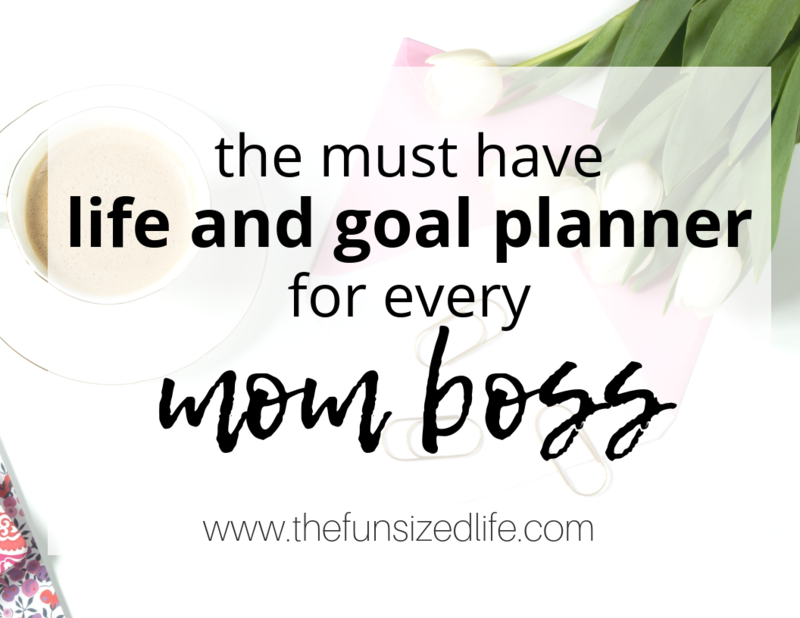 For all you non-bloggers who just need some serious help with your organization and planning, she has The Simplify Home Binder + The Intentional Life Planner. Abby has literally thought of everything to help organize your life and keep it all super cute too! I know the new year is a time for setting serious fitness goals. As a consistent gym goer, I have some bad news: so many people don’t stick to their fitness goals. It really is hard to see. So many people flood the gym January 2nd, and most of them are gone by March. For those of you with serious fitness goals this year, just so you know, I am cheering you on. I see all the newbies each year and I root for them, hoping they can accomplish what they want for themselves. As you’ve probably heard, fitness and health goes way beyond the time spent in the gym! As a former holistic nutritionist, trust me on this one. So for those days you’re not on the treadmill or pumping serious iron, there is your Simplify Binder. The Simplify Binder is an easy to follow workout, meal and water intake tracker. Like I said, these things are just as crucial to your fitness success as making it to the gym is. There is no better way to hold yourself accountable and keep track of what you’re eating and drinking than if you have it in your daily planner. Plus, there is some strange satisfaction in being able to cross off those little water cups each day. On top of of tracking your fitness goals and food intake, take a look at the over 35 other printables The Simplify Binder has to offer to help you keep track of all the other areas of your life. Everything from your weekly planning, to recipes you want to hang onto, to cleaning plans, chore charts and of course, budgeting materials. Budgeting is huge for sticking to your goals. Seriously, like all your goals. I never realized just how important money really was until I read You Are a Badass at Making Money. Think about 3 things you want to accomplish in the next year. Maybe it’s travel, get out of debt, get to the gym, spend more time with family. What You Are a Badass at Making Money reminded me was that all of these things in some form require your finances to be in order. Even spending time with family. It’s necessary to make sure you can afford to live and then afford to take time off, pay for the things you want to do together etc. There is nothing wrong with putting focus toward your money. In fact, it can benefit you huge and help you cross things off that bucket list! I have always been old school when it comes to paper verses technology (says the blogger, I know, I know.) When I can write down my spending habits it helps me keep way better track of our financial situation. I love being able to see it all right in front of me instead of just using the internet or an online spread sheet. Like I said, scatterbrained by nature. The Simplify Planner is something I can carry with me, something I can get my hands on, jot notes on and use as a constant reminder. Along with The Simplify Planner, you can also get Abby’s Intentional Life Planner. No, this is not just like every other planner you find in stores. The Intentional Life Planner is specifically laid out to help you achieve your goals. So yeah, seriously great for the New Year! This package comes with both large and small printouts so you can fit them into a planner size of your choice or multiple planners! She has literally thought of everything. Don’t be fooled by the photo, her latest planner runs from August 2017 through December 2018! Everyone has different goals and different organizational needs, that’s why Abby has given you the option to choose: you can have The Simplify Home Planner or The Intentional Life Planner…or you can have BOTH! You mix and match based on your needs and your goals for the next year. The best part? Both of them together cost less than most planners you will find anywhere else. Check out the bundle. No matter what your goals, no matter what tools you end up using, it is super important to be intentional when starting goals. Find a way to hold yourself accountable; you’ll be so glad that you did. Each new day is a chance to make serious change and a new year is just a fun way to see the big difference that all those days made! So, whatever your goals, whenever they start, I want to wish you the absolute best of luck! Wow, love these practical ideas! Thanks for sharing. Absolutely! These literally have everything! This satisfies my ODC in such a great way. Thank you! Doesn’t it though? It has everything!! That planner looks amazing! Great ideas. Isn’t it!? I’m so excited for 2018! I tend to write mine all in a notebook so I am super pumped to upgrade to this one! Reading this I can relate! we have 4 children, blog, jobs, and homeschool. Staying organized is always a process and something I strive to get better at every day! Definitely, like the look of this planner! I year ya! I have never been organized by nature and I am LOVING how great it makes life! So silly that I wasted so many years! Yes, organization and planning for the year ahead is key. These planners are great and this is a great post. Thanks so glad you enjoyed them! Best of luck in the new year! That looks like a great planner! It’s crazy that 2018 is almost here! I know! It’s crazy! Time to start planning haha. WOW!! I want to print everything and become the most organized person ever! Thank you for this! What a cute little binder! Cute stationery always helps me stay organized. Loving all of these tips! Isn’t it? Abby does such a great job! This is really helpful. I need to get more organized in my life. I highly recommend checking this bundle out! Getting organized has helped me sooo much! I’m just starting out with reviewing and reflecting on 2017 and getting ready for 2018. It’s so calming, in a way – and now you’ve inspired me to try some printable sheets, too! Great! Same here. This year I have actually gotten really great at setting goals and have been more organized than ever in my life. So I’m hoping I can get even better at it in 2018! oh my gosh totally ready to get out of debt this year! I’m doing it! Thank you! Yay! It’s such a great feeling to watch it all disappear!